Trisha Ann has 20 years experience as a renowned Angel &Tarot Card Reader. She is also a Psychic Medium. Her full list of therapies also includes Crystal Reading, Spiritual Healing, Reiki Healings, IET Angel Healings and Shamanic Practitioner. 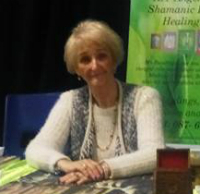 She also offers courses in Angel &Tarot readings and Reiki courses Levels 1, 2 and 3. Should you wish to receive any further information you can contact Trisha Ann on 087 6852712.